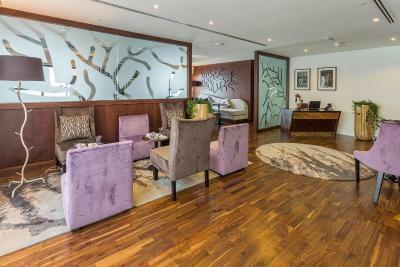 Lock in a great price for Wyndham Dubai Marina – rated 8.1 by recent guests! The staff were fabulous. I made a request to move to a different room with a balcony. Instead they moved me to a room with even fewer of the requests I made and NO balcony. The manager was so kind and upgraded me to a Jr. Suite. Everyone was friendly and accommodating. 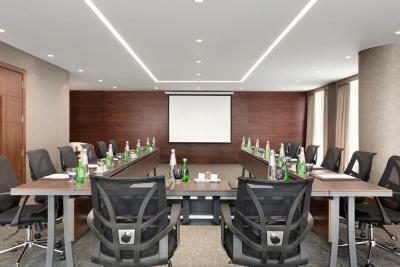 - Rooms are nice and location of hotel is good in Dubai Marina. The staff was very accommodating! The breakfast was ok and had a decent amount of things to choose from. I loved the private car service and the shuttle. 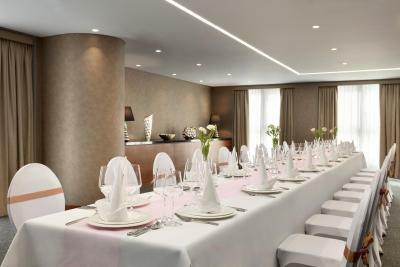 There are several restaurants to choose from for meals. The staff were mainly friendly and helpful when we were coming to and from the hotel. Great hotel very clean, friendly staff. 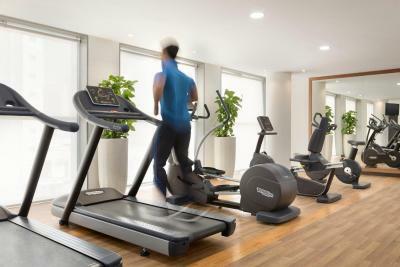 Within walking distance to 24hr supermarket. Shuttle bus to beach, train and the mall. You can walk straight to the Marina and take a stroll especially beautiful at night. 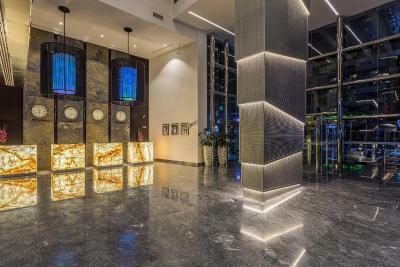 Wyndham Dubai Marina This rating is a reflection of how the property compares to the industry standard when it comes to price, facilities and services available. It's based on a self-evaluation by the property. Use this rating to help choose your stay! 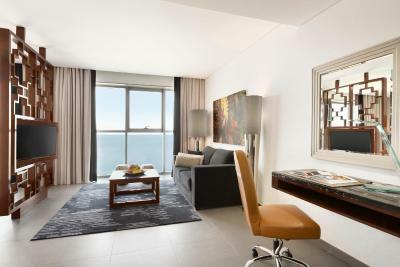 One of our top picks in Dubai.Wyndham Dubai Marina is an upscale hotel with breathtaking views of the Arabian Sea and Dubai Marina. 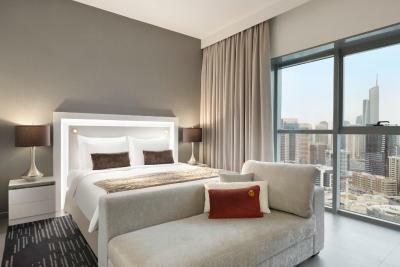 The Tram and JLT Metro Station is only a 10-minute walk from the property, connecting travelers to the major business districts, shopping malls and famous Dubai attractions. Free WiFi is available throughout the entire property. 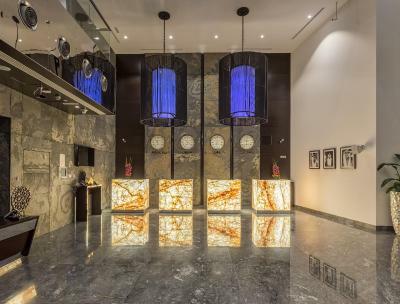 All 493 air-conditioned rooms feature a seating area, a flat-screen TV, a mini bar, a desk, a safety deposit box and tea & coffee making facilities. The bathrooms are fitted with a shower and a bath and offer free toiletries. 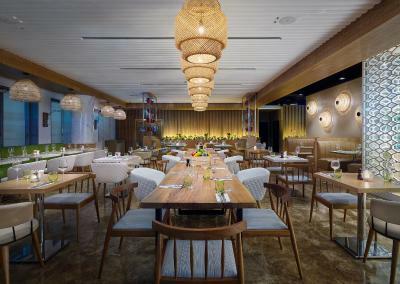 The property features a range of food and beverage outlets including; The Blacksmith, the first real American smokehouse in the UAE, Alloro Ristorante, a traditional Italian restaurant, Hello Café a lobby lounge and coffee house and Chillz pool bar. Dubai International Airport is a 30-minute drive from the property. Parking is available on site. 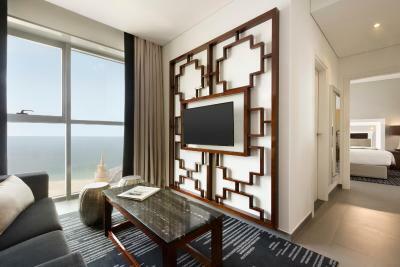 When would you like to stay at Wyndham Dubai Marina? This nonsmoking room offers luxurious king size bed, tea and coffee making facility, generous work desk, WiFi internet access, bathrobes, mini bar and 40 inch flat screen HDTV. The private bathroom has separate bath tub and complimentary amenities. Consisting of of 1 Junior Suite, this nonsmoking Family suite offers a luxurious king size bed offers a separate living and sleeping area, spacious bathroom with bath tub and generous work desk, WiFi Internet access, bathrobe, mini bar and 40 inch flat screen HDTV. This nonsmoking room offers 2 luxurious twin sized beds, tea and coffee making facility, generous work desk, WiFi internet access, bathrobes, mini bar and 40 inch flat screen HDTV. The private bathroom has separate bath tub and complimentary amenities. This nonsmoking Club Grand room with a king size bed features private Club Lounge access, complimentary beverages and snacks, separate living and sleeping areas, tea and coffee making facility, spacious work desk, WiFi internet access, bathrobe, mini bar, 40 inch flat screen HDTV and bathroom amenities with spectacular views of the Arabian Sea or Dubai Marina. 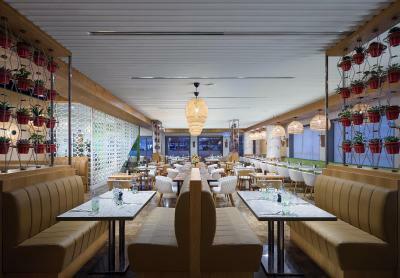 Please note that breakfast will served in the club lounge or Alloro Restaurant. This room offers luxurious king size bed, tea and coffee making facility, spacious bathroom with separate bath tub, generous work desk, WiFi internet access, bathrobes, mini bar and 40 inch flat screen HDTV. 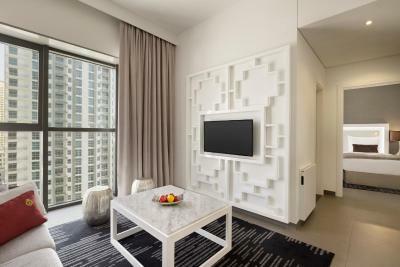 This Junior suite with a luxurious king size bed offers a separate living area with convertible sofa bed, sleeping room, spacious bathroom with bath tub and generous work desk, WiFi Internet access, bathrobe, mini bar and 40 inch flat screen HDTV. This nonsmoking Club Junior Suite with a king size bed features private Club Lounge access, complimentary beverages and snacks, tea, coffee making facility, spacious work desk, WiFi Internet access, bathrobe, mini bar, 40 inch flat screen HDTV and bathroom amenities with spectacular views of the Arabian Sea or Dubai Marina. 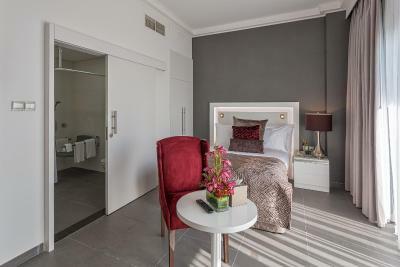 This room offers 2 luxurious twin sized beds, tea and coffee making facility, generous work desk, WiFi internet access, bathrobes, mini bar and 40 inch flat screen HDTV. The private bathroom has separate bath tub and complimentary amenities. Featuring a pool view, this nonsmoking room offers luxurious king size bed, tea and coffee making facility, generous work desk, WiFi internet access, bathrobes, mini bar and 40 inch flat screen HDTV. The private bathroom has separate bath tub and complimentary amenities. 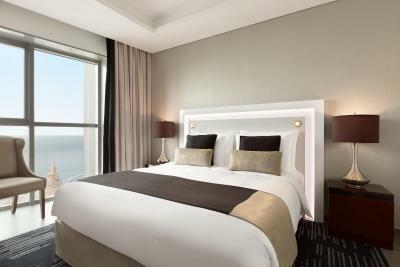 This room with a king size bed room features private Club Lounge access, complimentary beverages and snacks, tea, coffee making facility, spacious work desk, WiFi Internet access, bathrobe, mini bar, 40 inch flat screen HDTV and bathroom amenities with spectacular views of the Arabian Sea or Dubai Marina. Please note that breakfast will served in the club lounge only. This nonsmoking suite with a king size bed offers, tea and coffee making facility, spacious bathroom with separate bath tub or standing shower, a generous work desk, WiFi internet access, bathrobes, mini bar, and 40 inch flat screen HDTV. 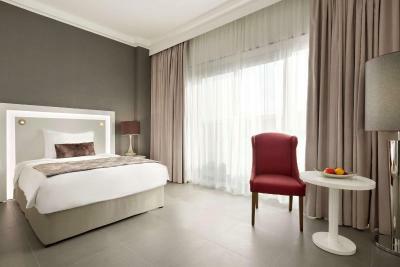 Please note that this room type can accommodate 3rd Person with Extra Bed. 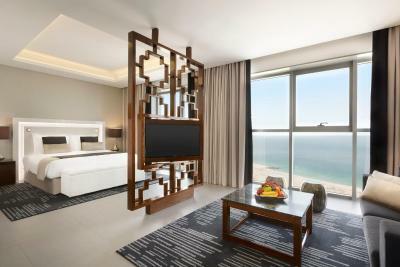 This Club Junior Suite with a king size bed features private Club Lounge access, complimentary beverages and snacks, tea, coffee making facility, spacious work desk, WiFi Internet access, bathrobe, mini bar, 40 inch flat screen HDTV and bathroom amenities with spectacular views of the Arabian Sea or Dubai Marina. This room offers luxurious king size bed, tea and coffee making facility, generous work desk, WiFi internet access, bathrobes, mini bar and 40 inch flat screen HDTV. The private bathroom has separate bath tub and complimentary amenities. This nonsmoking suite offers 2 luxurious twin sized beds, tea and coffee making facility, generous work desk, WiFi internet access, bathrobes, mini bar and 40 inch flat screen HDTV. The private bathroom has separate bath tub and complimentary amenities. This nonsmoking offers 2 luxurious twin sized beds, tea and coffee making facility, generous work desk, WiFi internet access, bathrobes, mini bar and 40 inch flat screen HDTV. The private bathroom has separate bath tub and complimentary amenities. 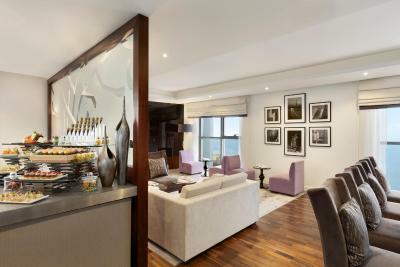 House Rules Wyndham Dubai Marina takes special requests – add in the next step! 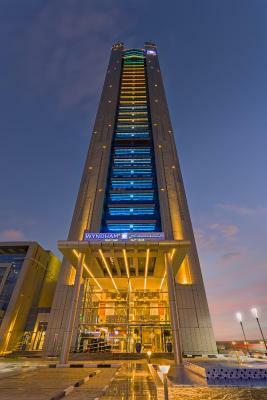 Wyndham Dubai Marina accepts these cards and reserves the right to temporarily hold an amount prior to arrival. Kindly note that guests might experience some noise disturbance from the surrounding construction sites. Please note that extra beds are only provided in Grand Room and Club Grand Room types. Please informed that upon check in the original credit card must be presented upon check in including the non refundable reservations, the credit card authorization is taken only for guarantee purpose and used in case of no shows or last minute cancelations. Ellen in the Spa did an excellent job. The staff in the meeting room were excellent on April 18th. We have stayed couple of times now In WDM - they never check you in earlier, and never upgrade. And they want full payment upfront, not on checkout. 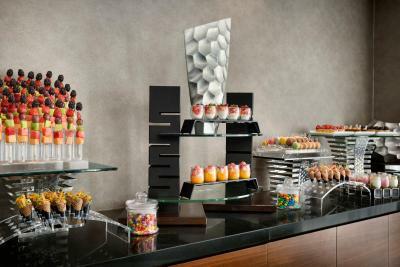 Lounge doesn ´t offer afternoon snacks, only drinks and snacks from 7pm. The choice is not great and overall it is not worth paying for it. View is not the best, opt for Marina view, it is better than so called sea view. It is a pity that the pool area has been covered. The food in the restaurant was of a poor standard , though that was based on only one visit. Staff , except for one waitress in the Alloro restaurant , on my only visit to it , were exceptionally good. The Hotel was very clean. 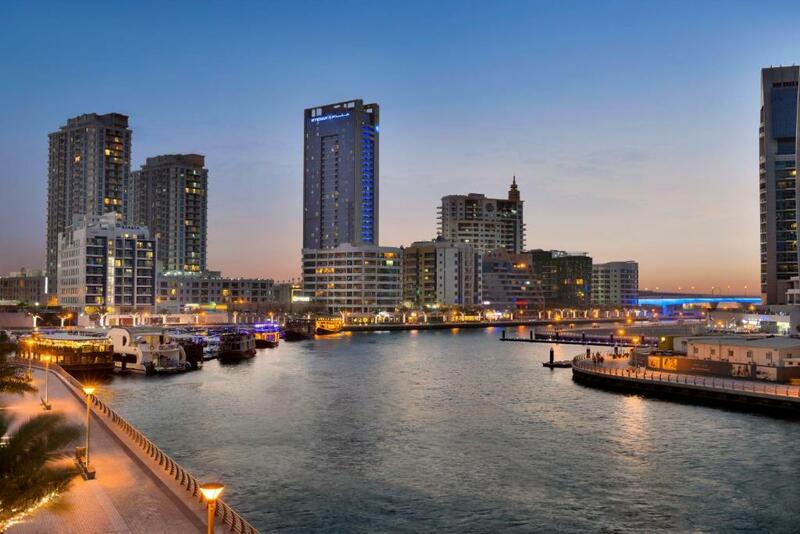 The shuttle service to JBR and the Marina Mall is very useful. 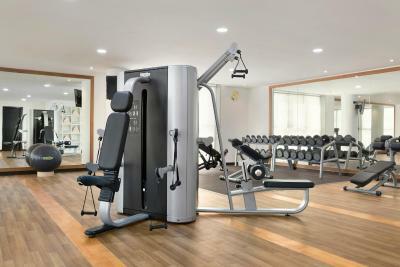 The Gym is very good. There was some construction around the hotel so it was annoying. The staff was friendly specially Noor the receptionist, she was so helpful. I also liked the parking spot. Wee were told the hotel was...quote...a 15 minutes walk from the JB Beachfront....maybe for an Olympic athlete, but not for myself and my wife. The beach shuttle was a reliable (and free) Godsend. The Hotel pool was clean and heated with friendly staff, but was overlooked by a giant skyscaper building site AND unfortunately lost the sun by early afternoon. These two comments are my only criticisms of the Wyndam. 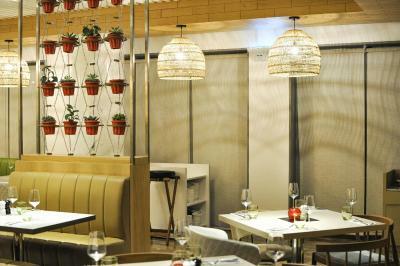 ALL the staff, without fail, had a friendly smile and word for every guest..a real pleasure ! excellent value with very wide choice. 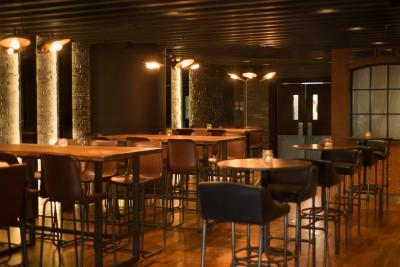 plenty of seating and cheerful helpful staff...a good start to the day ! the restaurant was amazing and the room is very comfortable . Everything was very well prepared and served. It is a shame that the pool area has to have the canopy over it due to the construction that is going on next to the hotel. It meant that only a few sunbeds were in the sun. Comfortable rooms. The staff were very accommodating, especially Vincent from housekeeping. 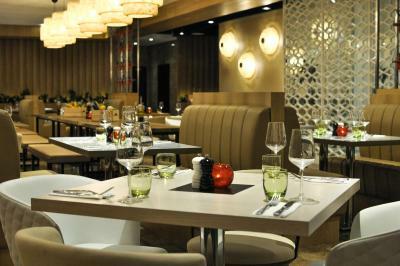 There is also a good couple of restaurants and a great choice at breakfast. Very friendly and helpful at reception.